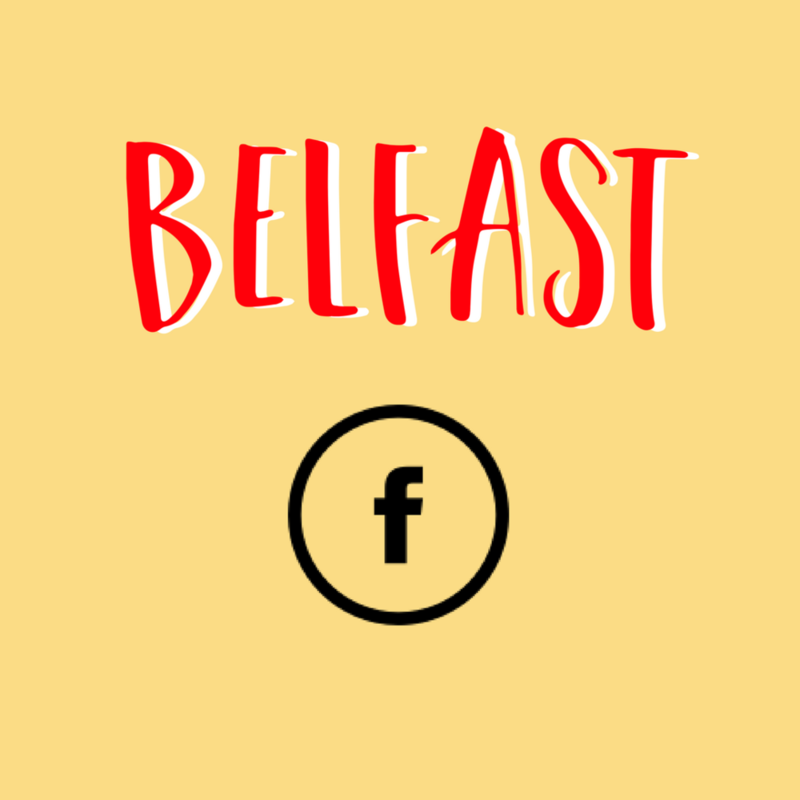 Hello - I don’t usually write up an event in such detail, however there were a few women who couldn’t make it so I asked Helen at @instrunctionaldesignbyhl to take notes - you’re amazing Helen! Annie was a self employed copy editor on a long term contract who expected to go back to work after the birth of her first baby. It didn’t work out, and she launched her digital magazine The Early Hour, making money through sponsored content. Annie used The Early Hour as her pitch when meeting people, and pitched a book idea to a friend she met through play group. She set up a column called The Freelance Mum - and the book deal came through that. Annie’s book features many of my favourite business women (Cherry Healy, Scummy Mummies, Steph, Zoë de Pass, Candice, Sarah Turner) as she wanted to include other peoples experience and include as much diversity as possible. Steph hadn’t thought about the reality of motherhood before it happened, and has really retained that feeling (it’s her secret talent) and the emotional side of what it’s like to have a baby - feeling lonely, isolated, angry. She started a blog as the more people she talked to about the shock of motherhood, the more she found people agreed, and she wanted to make sure others felt the same before she started her business. Lots of people think Steph used her maternity leave to start a business - she said she didn’t - she may have had the idea but it’s taken four years to get to this point. Go easy on yourself. Steph said she didn’t with her first two babies, so she learnt to pull up the drawbridge with Frank, her third. You will lose your identity, but it will come back to you. It’s ok to concentrate on your baby. Annie’s advice is to find your tribe. Don’t be with people who make you feel rubbish, find honest friends. Where do you start if you want to go freelance? 1. Try working part-time and building up freelance clients on the side. 2. Mat leave can be a good time if you’re able to, as legally you’re allowed to earn money from a new side hustle. 3. Have enough money coming in to pay the bills 4. Be laser focussed on the finance side, look at the margins if it’s a product business. Confidence comes from experience. Confidence is like happiness, it needs to be worked at. The confidence session on the Clementine app was recommended by Annie. Annie also has a “Special” folder in her emails, where she puts all her good and nice emails so she can reflect on them. Steph said her confidence has also come from experience, and that things will go wrong but it’s how you deal with those things - try not to take everything persnonally. It’s really important to reflect on what you have achieved so you can acknowledge what you have done. Confidence can be knocked by looking at what others are doing - stay in your lane and do you. Annie’s advice was to be really organised. Secure repeat work (this means you’re not always pitching). Try to get childcare if you can, and know what you’re doing in that time. Annie will get urgent last minute jobs, and will use the Bubble Babysitting app to help. We do have Bubble on a small scale in Norwich at the moment. 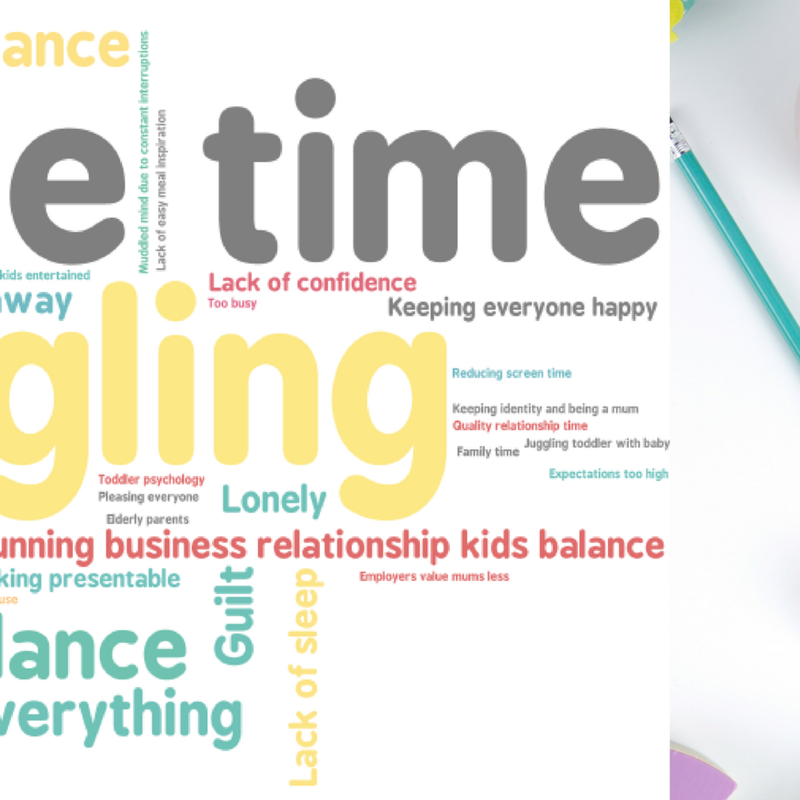 Work doesn’t fit nicely into childcare hours all the time - how do you manage the overspill? Steph said to start with, she worked all hours (which was fun and hard in equal measure), and had to get to a certain point before it got easier. Annie isn’t allowing the overspill at the moment as she’s pregnant, but advised to adjust it when you can. Do you switch off from work when you’re with your kids? Annie said definitely not - she will finish an email, or a phone call but tries to do the thoughtful stuff without the kids. She said she tried to do a podcast but that didn’t work too well! She doesn’t think it’s a bad thing as she is with her kids - if they need her, she is there. She said her dad was home a lot when she was young, and he was always thinking about the next thing at work, and it didn’t bother her - he was there. Steph thinks it is easy to beat ourselves up and she leaves her phone downstairs at night to charge. Also, Steph is so right - none of us have it right, because we don’t really know what ‘right’ is - this is all new! Which is why we are gathering on a Weds Feb night to see how others do it. How do you avoid burn out? Steph, of course believes in the 30 min nap. Sleep is major - when you haven’t got time to stop, is when you need to stop. Sometimes she disappears for a bit, comes down and Doug is like “did you just have a nap?” - didn’t even notice. Like a stealth nap. It would be difficult to work in any capacity without the support of your partner - are you specific about what help you need at home? Steph - the mental load is half the work. Big recommendation to ask our partners to listen to Dear Sugars podcast on Emotional Labor: The Invisible Work (Most) Women Do. In the nicest possible way, back off a bit and let your partner figure stuff out - it doesn’t need to be done your way. Annie even tried a reward chart for jobs round the home and it turned out her partner did more than she thought. Social media - how important is it really? 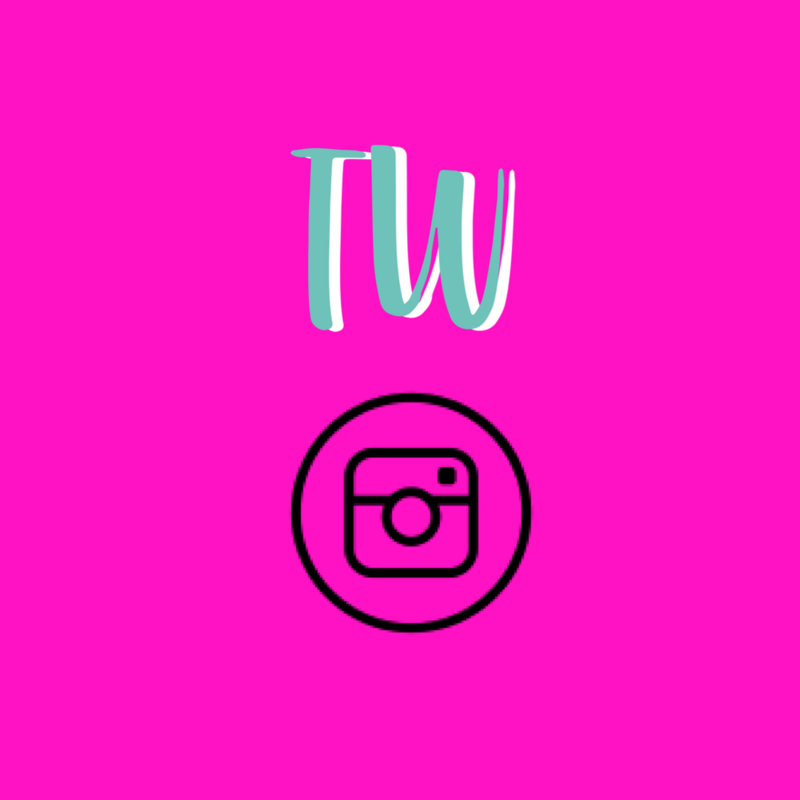 For freelancers, assuming a Linkedin profile is already in use - instagram is good for community and building a platform, but not great to referring people to your website. Twitter and Facebook are better for referrals. 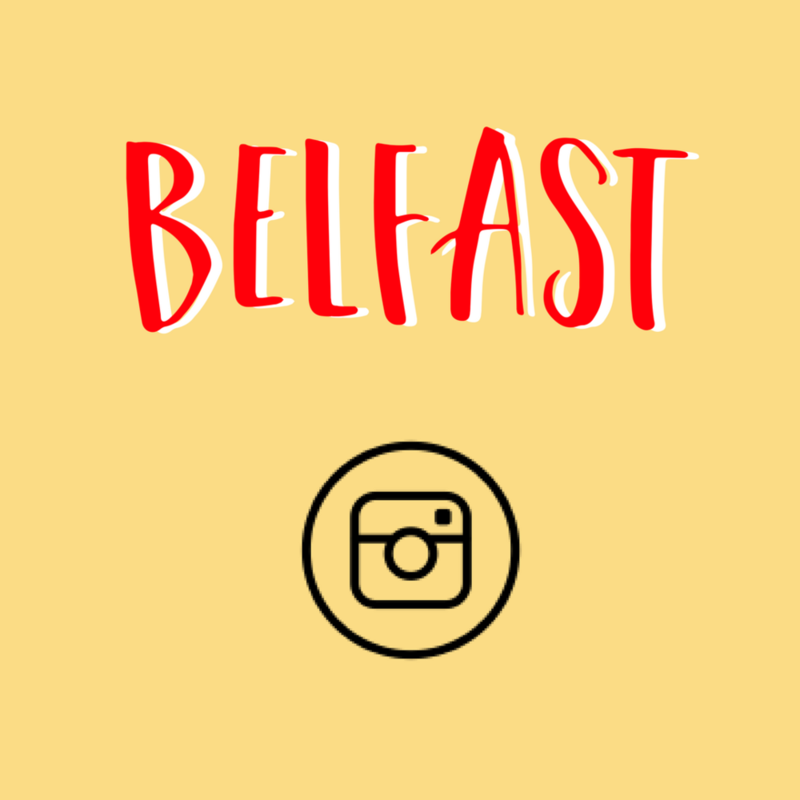 For product based businesses, instagram is essential - make sure to build your story around your brand, not just product. For example, Steph has a separate brand account, and has various themes such as motherhood, which she has a social media manager working on (the excellent Nicola). Annie: Create a good feed, have a viewpoint, by creating good content you have more chance of someone sharing it. Annie thinks the best way of growing your audience is by other people sharing your account. Don’t do the follow, unfollow thing. Create good enough content so people want to mention you. Steph: Be consistent, don’t over think it. Don’t become so focused on the numbers - if you need 50 regular customers, and you have 70 engaged people following you - that’s perfect. Like Vickie at @inpolife said - imagine all those people lined up in your house ready to listen to you, or buy from you. It really changes your perspective. What boundaries do you have in place to protect you from the dark side of social media? Annie - started off blogging about parenting, so used to use photos of her children. Her husband didn’t want her to, and she decided to stop showing their faces. She thinks she definitely saw a drop off in followers and engagement, as people do want to see the family. However she’s now talking about freelancing and from a mum’s perspective so feels ok about that. Steph’s space is about motherhood, she is in it with Frank and feels it would be strange not to show her reality when she’s known for honesty and support. Basically - it’s up to you. I read a really good article by Mother Pukka about this last year, it is here. Gemma at Mutha.Hood came to Norwich last year, and shared her approach, which is that she views her range in seasons, plans the products so she has these kinds of waves of concentration - similar to a fashion business (she used to be a fashion buyer). I think Emma at Little Hotdog Watson has a similar approach, as she has just launched Spring. Steph said the beauty of being digital is that she is much more off the cuff - she has an idea by talking and listening to customers, and can turn round a new product very, very quickly. She starts with the customer, and how she wants them to feel. Then it’s about product selection - the products have to be good quality and British. Her biggest advice is start small, and start focussed. Both Annie and Steph have secured incredible PR. Annie did a Princes Trust Business Course (which is for under 30 year olds, the link is here) and the biggest tip from her mentor was to ‘find your story’. 3. Make relationships with journalists - they are real people. Send an email pitch, not an attachment. 4. Make sure you proof read. I asked Steph what was the biggest thing that she can remember that drove sales, given that she has been featured in blogs, podcasts, the press, magazines. She said yes, there was one big thing early on. 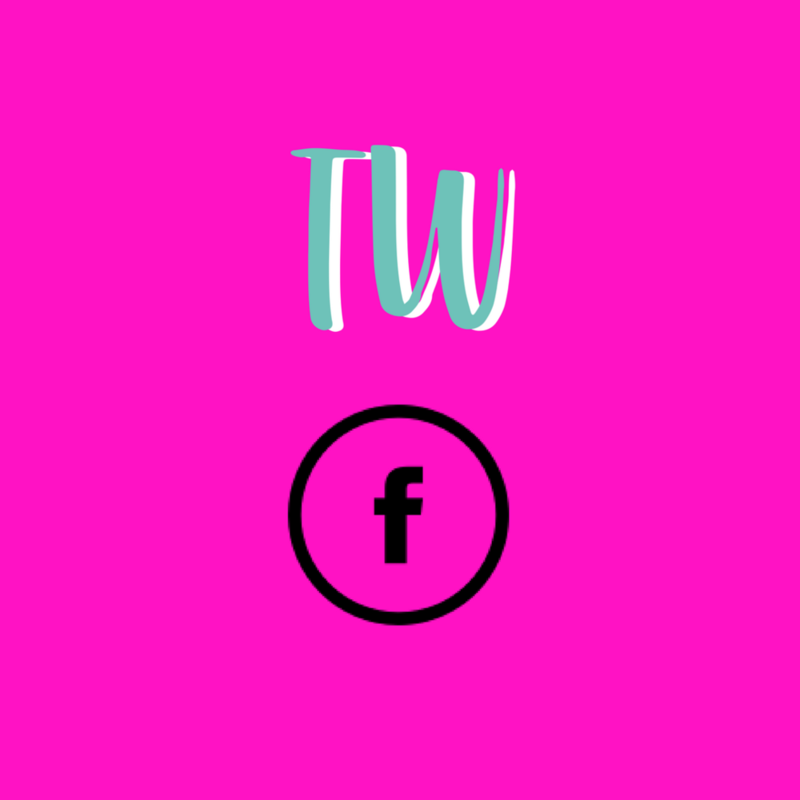 She started by blogging, and at that time, there were only a few big blogs about honest parenting, like Katie (Hurrah for Gin), Sarah (The Unmumsy Mum), and Steph had written a post that had gone viral. She got chatting to Sarah on Twitter and asked if she’d like to send a gift package to her friend. She did, her friend cried with gratitude (there is something wonderful about being sent one of Steph’s packages) and Sarah shared that on her Facebook page. Steph was on holiday at the time, and was happily overwhelmed with orders, getting back to her spare room as soon as she was home to dispatch. So the key learning is that if you have a product or service, you need to really think about a personal pull through - you can’t just ask many many “influencers” ‘can I gift you a product in exchange for a post’. It’s really not as robotic or transactional as that, you need to have invested in that person in an authentic way. They are very busy just like you. Pick three people, build a relationship, like their posts, comment on their posts. See the cost of sending samples as a marketing cost - sometimes it will work, and sometimes it won’t. Most interesting person you’ve met? 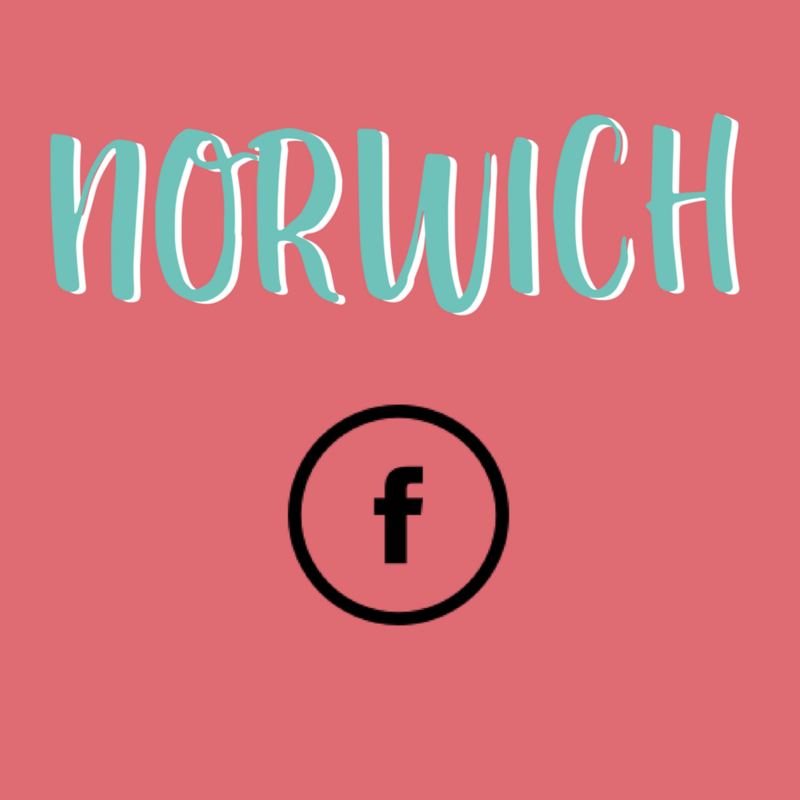 Q1) From Muddy Norfolk - Around the topic of confidence - she reminded us that having our children is a huge achievement, and that it does get easier and better. Steph agreed saying you’re never more efficient. Annie agreed saying its very empowering. Q2) From Sophie at The Night Feed - Any tips for managing parent rage with your partner? Steph’s advice was to spend time together when you can. Although it’s an ongoing thing. Remember they feel pressure too, and it’s good to understand each other. She said she counselling before their third baby, which was useful. And her mums advice - remember to be kind. Q3) Any big business disasters - Steph said at the start she over ordered stock and didn’t sell it, and didn’t understand cash flow at the start and now it’s king. Molly at Selfish Motherlaunches a product for pre-order, and then orders stock based on pre-order numbers, which minimises risk. I’ve seen Gemma at Mutha.Hood do this too. Adam Buxton - did you know he records his podcast from WYMONDHAM people?!!?!! You can search people you like, like Annie and Steph and work your way through. 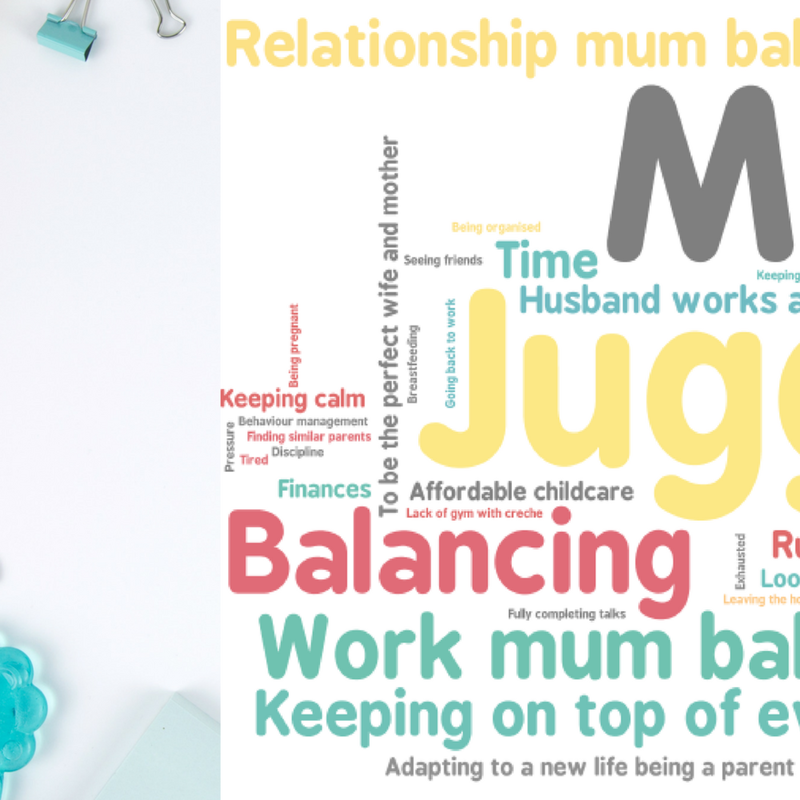 "This week, Anna - perhaps better known as Mother Pukka - came to Norwich to talk about parenthood and flexible working. She is an Instagram joy, a political force and someone we all want to be in our corner in our fight for work that suits family life. One of the few things I remember from A-level sociology is a that cult leaders are ‘usually attractive, charismatic, intelligent and engaging’. This occurred to me as I sat, entranced, during a talk by Anna Whitehouse. Her wise words and funny anecdotes and ability to be a balm to the neurosis and fear of parenthood had an audience of over a hundred of us nodding and smiling like devoted followers. And if Anna is our leader then flexible working is her religion. Her mission is to get employers to do the unthinkable and dismantle the traditional 9-5 working day. She aims to preach the word of working from home, shunning the shame of creeping in to work at 9.05 and singing the praises of working hours that suit everyone. I hadn’t ever given much thought to the arbitrary nature of 9-5. From what I can gather, the roots of those working hours are in Industrial Britain. But so is child labour, inhumane working conditions and slums so perhaps Anna’s vision for a flexible working day isn’t actually progressive, just massively overdue. 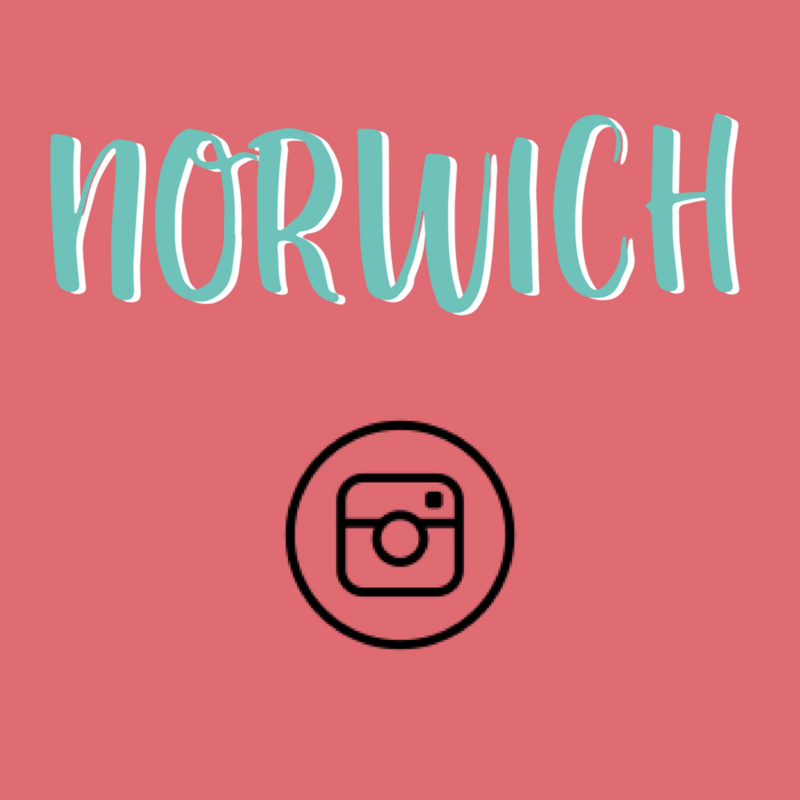 Giddy with excitement at having our favourite Insta star in Norwich and tipsy on the delicious free wine provided by Naked Wines, we sat enraptured. And for the first half hour or so Anna regaled hilarious stories. 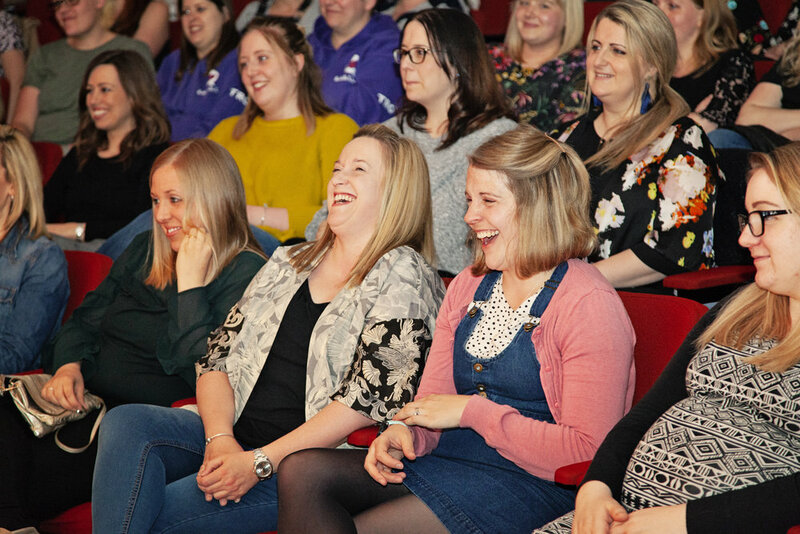 Many relatable - top lip panic sweats, wet wipe crises, marital niggles - and a few not so relatable but utterly hilarious tales - an ‘incident’ on a bus with the Noravirus for instance. But soon enough, the chat turned to being a working parent and our laughter turned to anger. So many of us have stories of unforgiving attitudes to time-keeping and working for mangers who value hours worked more than efficient output. Anna’s advice is ‘don’t ask, don’t get’. Employers assume 9-5 and we assume that it’s necessary. But it isn’t. Not really. I always think phrasing things as a statement rather than a question can help: ‘I would like to work from home for three mornings a week. (Brief description of how this would work). Please let me know if you anticipate this being a problem. Thank you’. 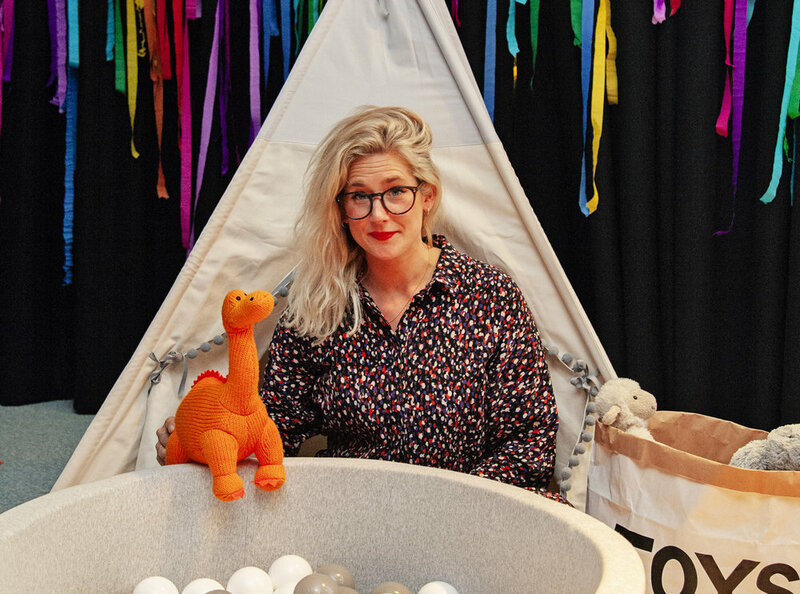 Anna’s practical advice made flexible working seem like such an obvious and credible solution to the most stressful parts of parenting: childcare, nursery drop off and pick up and time-keeping. We just need to ask for it. No. We need to demand it. We need to demand hours that suit us and not Victorian mill owners. And we need employers to see how a job pairing brings two great, fresh, talented minds to businesses. How letting us work from home means we can devote time to tasks rather than texting the childminder. How starting at 7.30 and leaving at 3.30 can mean they can keep a trained employee rather than have to recruit again. And trust me when I say, Anna’s words have released some seriously empowered and informed people out in to Norwich’s workforce. Invite us in to your offices and listen to our requests because 9-5 is going to be consigned to the history books and Dolly’s Best of album. Government Website - Know your rights https://www.gov.uk/flexible-working"